Rain dribbling down your window? Don't skip your daily run, just throw on the Brooks Drift Shell and do it in comfort. 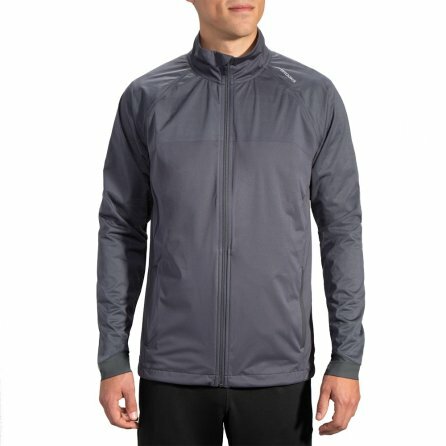 This light jacket delivers water- and wind-resistant performance behind a DriLayer® SuperSeal fabric that breathes with your every step. Four-way-stretch keeps you moving forward without bunching or discomfort. Best of all, instead of a tiny short pocket, you can store your essentials in two zippered hand pockets, one with a media port and inner security pocket. The front and back reflectivity keeps you visible.